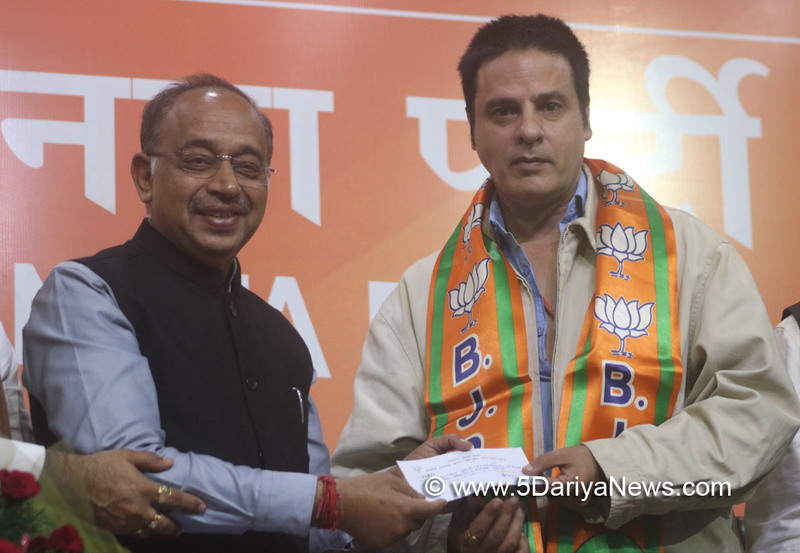 Actor Rahul Roy, known for his 1990 romantic film "Aashiqui", on Saturday joined the BJP in the presence of Union Minister Vijay Goel.After joining the ruling party, Roy, 49, hailed the leadership of Prime Minister Narendra Modi and BJP President Amit Shah, and said "it was a significant day" of his life. "Prime Minister Narendra Modi and BJP chief Amit Shah are taking the country forward and the progress is remarkable. It's a significant day in my life. The way Modiji and Amit Shahji have been taking the country forward, also in changing the view of how the world looks at India now, is remarkable," he said after joining the party.The 1990 film "Aashiqui" had catapulted Rahul Roy to fame. His chocolate boy looks and unusual hairstyle found him a lot of fan following. His film career since then has been indifferent.He also won the reality TV show 'Bigg Boss' in 2007.